It's that time of year again. If you're a western or central Pennsylvania high school senior, we want to hear how you would take a stand against drunk driving and texting and driving. This is your opportunity to create an impactful message to your peers and win a $10,000 scholarship to the 4-year college or university of your choice for the Fall of 2015. All entries must be postmarked by March 27, 2015. Since 2007, our law firm has awarded over $100,000 in scholarships to high school seniors from the surrounding areas. Check below for more details. It's simple. We want you to create a presentation that would discourage your peers from drinking and driving or texting while driving. Your presentation can be a video, website, essay, PowerPoint, brochure, or any other creative and interesting option. Make it engaging and make it your own! See the following for more details about presentation types and requirements. All submissions must be postmarked by March 27, 2015. 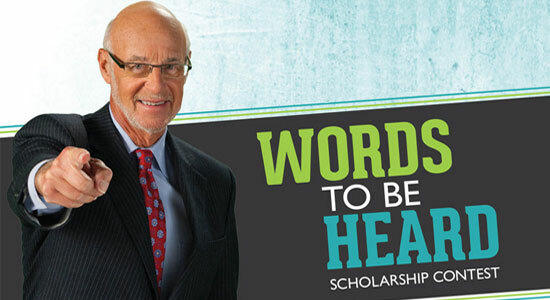 Our scholarship contest is open to all western and central Pennsylvania high school seniors who plan to attend a college or university in the fall of 2015. 2. Then, follow these simple rules to submit your scholarship application. Have questions? Email us here!